A Weekly Advocacy Message from Mary Woolley: After sequestration, will research be protected in the budget battles? To say that the attention paid to sequestration is extraordinary is to understate the case, but there has not been enough public outcry to force meaningful congressional action. It is highly unlikely that a rabbit will be pulled out of a hat between now and 11:59 p.m. tomorrow night. Damage will be done, and meanwhile the political playing field switches to a new month and new, related and ever-deepening crises. Possibly the only good news is that the media has ratcheted up coverage of the impact of sequestration on medical research, with stories about “cuts on top of cuts on top of cuts,” in the words of Eric Hoffman of Children’s National Medical Center, one of many who have spoken out. Former NIH Director and Research!America Board member Dr. Elias Zerhouni of Sanofi described sequestration as “impact[ing] science for generations to come.” FASEB, among many groups working to keep the story alive, has released state data, detailing NIH grant funding cuts that amount to more than $1.2 billion in lost research dollars. The Baltimore Sun recently ran a story highlighting how cuts may drive researchers overseas, with quotes from Research!America Board member and Nobel laureate Dr. Carol Grieder. Concern about global competitiveness is confirmed by a new Research!America poll of small business leaders, with other findings of note including two-thirds saying that federally funded basic research is important to private sector innovation. We have seen unprecedented attention to this data on Facebook, generating nearly 4,000 views in just one day. Write your representatives and use the poll data to convey the strong base of support for research — and the importance of making it a priority. All advocates must be on alert for the budget battles of March, including funding for the remainder of the current fiscal year, which ends September 30, as well as the first salvos of the next fiscal year budget (2014). Three budgets will be presented – president, House and Senate. The questions are: Will the impact of sequestration be blunted during budget negotiations, and will research for health be a priority? We must all continue to work for that outcome, as individuals and as a community. A Financial Times op-ed by Research!America member and MIT President Dr. Rafael Reif and Craig Barrett, former chairman of Intel, provides a concise and articulate summary of the consequences of cutting science — or, said another way, failing to prioritize it. They point out that the U.S. has an economic growth problem. They underscore the importance of investing in research and innovation as the way to reverse the downward trajectory of U.S. ranking in terms of R&D as a percentage of GDP among OECD countries and to return us to the level of national prosperity that thrives on the transformational ideas of young scientists. Other countries are using our playbook for economic growth; why aren’t we? The NIH has released an operating plan should sequestration take effect. For the remainder of the current fiscal year, the NIH will likely reduce funding levels for continuing grants and will make fewer competing awards. All Institutes and Centers will be subject to a budget reduction, with each institute or center director having discretion over which programs to prioritize. The NSF has also released a statement; the agency will reduce the number of new grants in FY13 by 1,000 due to sequestration. All continuing FY13 grants will be awarded and existing grants will not be reduced. Lastly, we mourn the loss of Research!America’s Honorary Director Dr. C. Everett Koop, a charismatic Surgeon General who forcefully called attention to our nation’s major health threats. He was a magnificent champion of research. His legacy is second to none. Read our statement here. On February 28, Rare Disease Day, more than 60 countries and hundreds of organizations come together to raise awareness of the plight of those afflicted with rare diseases. Although rare diseases affect more than 100 million people worldwide, there is limited public awareness and insufficient research funding to develop tools to prevent and treat these diseases. This year, the theme of the day is “Rare Disorders Without Borders.” Advances in rare disease research are far more likely to succeed if teams of researchers from different countries pool resources, share findings and work together to find new solutions. There are clear parallels between these rare diseases and neglected tropical diseases, such as Chagas disease and dengue fever, that are afflicting people throughout tropical regions and increasingly closer to home. These diseases are not widely known, which often leads to misdiagnoses and delayed treatment. This lack of awareness results in very little funding for research in widespread prevention and treatment. It is abundantly clear that more research is needed to better deal with these rare and neglected diseases. On the Rare Disease Day website, you can find the Handprints Across America gallery of patients and their families. The disease names may be unfamiliar to you—scleroderma, Hermansky-Pudlak syndrome, Prader-Willi syndrome, Pompe disease, Leiber’s congenital amaurosis, and familial partial lipodystrophy Dunnigan syndrome just to name a few. But the stories paint a clear picture of the impact of rare diseases on families across the nation and around the world. More patient photos and stories can be found on Rare Disease Day’s Flickr photostream. Research!America members like the National Organization of Rare Diseases (NORD) and the American Autoimmune Related Disease Association (AARDA), are celebrating this year’s Rare Disease Day in addition to marking the 30th anniversary of the Orphan Drug Act. The Orphan Drug Act provides financial incentives to encourage companies to develop treatments for small patient populations. Passage of the Orphan Drug Act by was successful in large part due to patient advocates and other organizations working together. However, research and advocacy are still needed for these rare and neglected diseases! Check out the Rare Disease Day page to see how you can support the rare disease community. Other research and advocacy groups are also spreading the word about Rare Disease Day. Groups and individuals on Twitter are using the hashtag #rarediseaseday. Also see the newest blog post from National Institutes of Health Director Francis Collins, MD, PhD. The NIH is hosting the sixth annual Rare Disease Day on Feb. 28 and March 1. The two-day event will highlight the work of the NIH-funded researchers, agency partnerships and collaboration among researchers across the globe. The impact of sequestration will translate into reduced local and state funding to protect your health and safety. In a recent CQ article (CDC Director Frieden Predicts Local Public Health Cuts Under Sequester – subscription required), CDC Director Thomas Frieden reminded us that the vast majority of the agency’s funding goes out to local and state health departments. These frontline health providers identify and protect us from threats like the flu, foodborne outbreaks, contaminated water, road traffic injuries, and new pathogens. The problem is that we don’t know what we’re missing until it’s too late because these frontline health workers are usually silent heroes. Take action against sequestration now – http://capwiz.com/ram/home/. 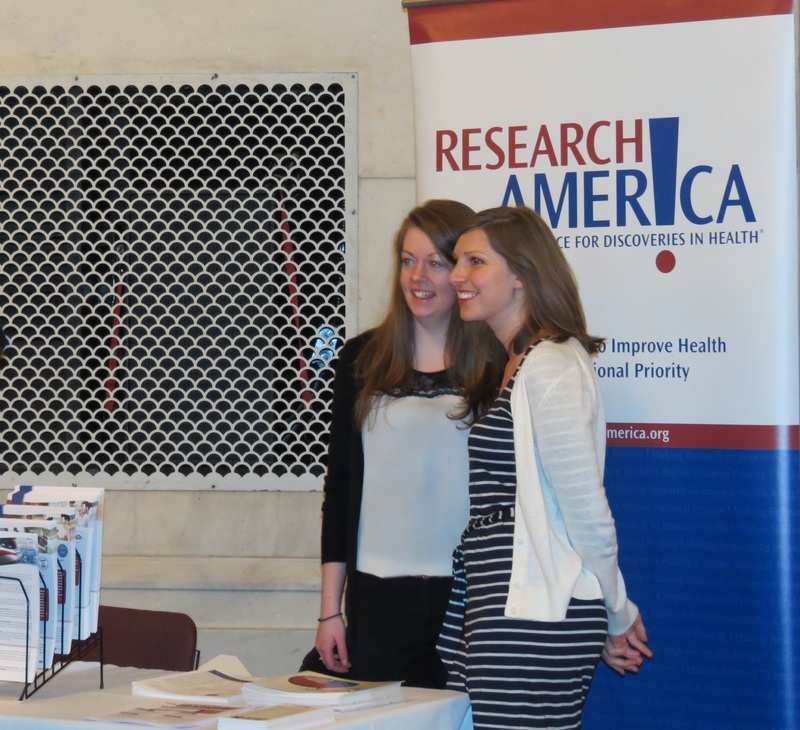 To thank our public health heroes and raise awareness of public health, please visit http://www.researchamerica.org/ph_thank_you and http://www.cphfoundation.org/. On February 7, The Lancet Infectious Diseases published an enlightening report on the global economic impact of Chagas disease. Chagas, a parasitic disease transmitted through insects called “kissing bugs,” infects nearly 10 million people worldwide, including 300,000 here in the U.S. Some people can carry the disease without knowing they have it, while others can experience debilitating respiratory infections and potentially lethal heart complications. The study examines in detail both the global and domestic economic cost of Chagas disease, which rival better publicized infections such as Lyme disease, and illustrates the urgent need for research for new tools to fight this disease. Join Research!America and the American Cancer Society Cancer Action Network for a pre-SOTU Twitter chat on Monday, February 11, 1 to 2 p.m. ET. Visit @ResearchAmerica and @ACSCAN on Twitter to follow Research!America President Mary Woolley and ACSCAN President Chris Hansen as they discuss important facts about sequestration and answer questions from participants. Use the hashtag #curesnotcuts in your tweets to join the conversation.